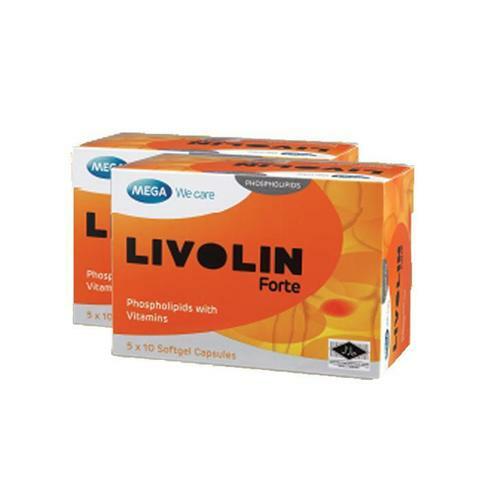 Livolin Forte is a liver tonic that helps in regeneration and faster recovery of damaged liver. It nourishes and protects the liver from various damages and improves the functioning of liver. Healthy liver is healthy you. Trusted by over millions of people in more than 20 countries, Livolin Forte is highly effective in repairing liver damage of various origins like alcoholic damage, drug toxicity, fatty liver disease etc. Nourishes liver cells and enables quicker recovery. Chronic liver diseases are the result of progressive destruction and regeneration of liver tissues resulting in chronic hepatitis (inflammation), cirrhosis and liver cancer. These diseases can be caused by viral infections, alcoholic substances and drugs, and body metabolism. Livolin Forte contains Phosphatidyl Choline, which maintains the structural and functional integrity of the cell membrane. Replenishment of Phosphatidyl Choline helps in the regeneration of liver cells in cases of liver damage, whereas B group vitamins provide nourishment and support healthy functioning of the liver. 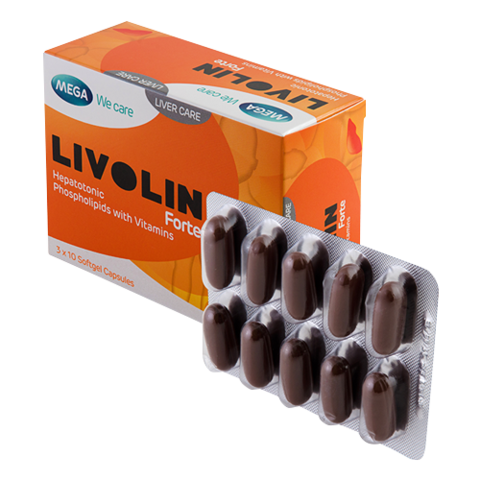 Livolin Forte has been clinically tested in several countries throughout the world and the laboratory results have revealed great improvement in liver performance among patients suffering from liver diseases. These studies show not only the reduction of clinical and biochemical syndromes of chronic liver diseases, but also complete neutralization of detoxification and protein synthesizing functions of liver cells. 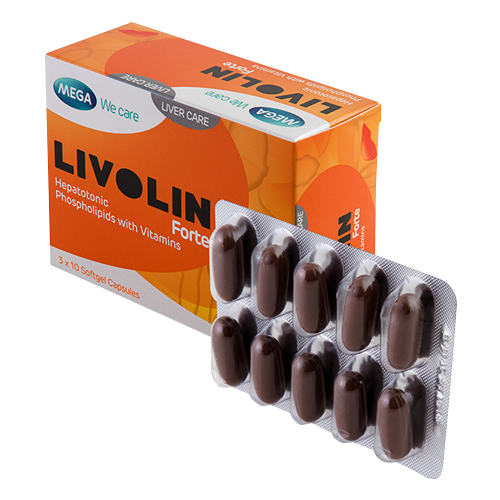 These studies have shown that Livolin Forte effectively combines two powerful agents (phospholipids and vitamin complex) for treating liver diseases. 1 capsule twice or three times daily.